Each crank slider mechanism is called a "point." 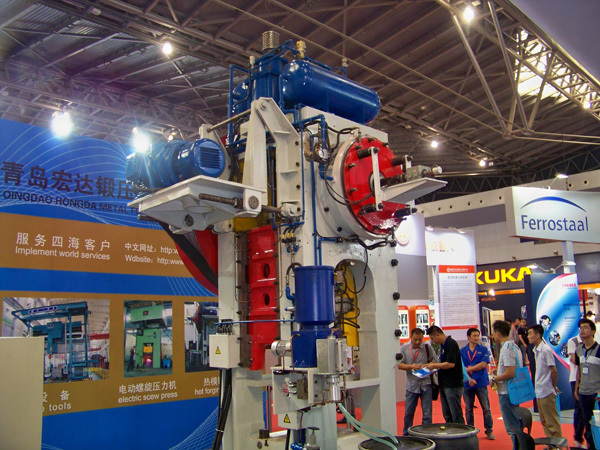 The simplest mechanical press uses a single point type, meaning that there is only one crank-slider mechanism. 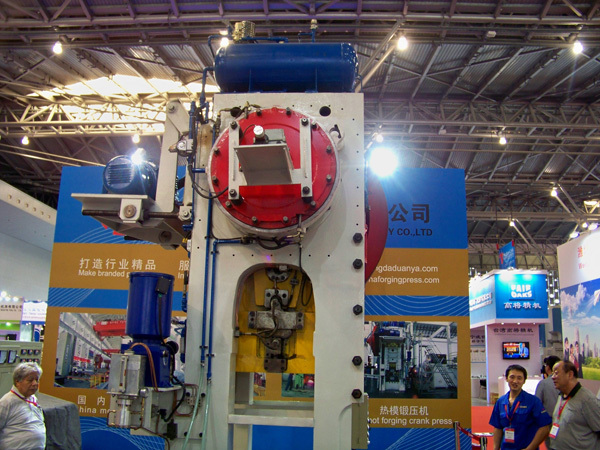 Some large surface mechanical presses, in order to force the bottom of the slider uniform and smooth movement and the use of two or four points. 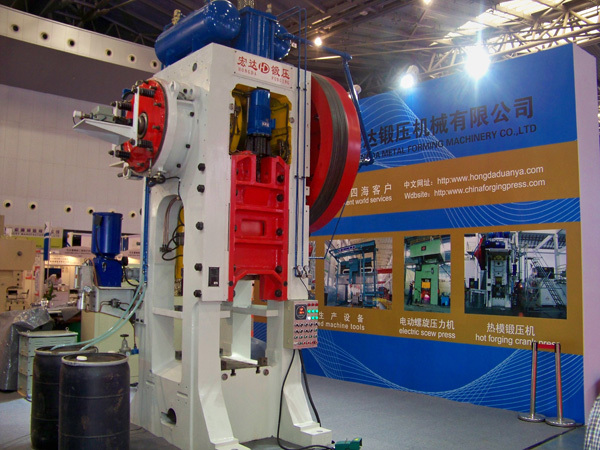 A forging machine that converts a rotational movement of a motor into a linear reciprocating movement of a slider by a crank-slider mechanism and shapes a material blank. 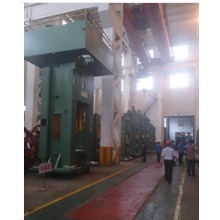 Mechanical presses stable operation, reliable, widely used in stamping, extrusion, forging and powder metallurgy and other processes. 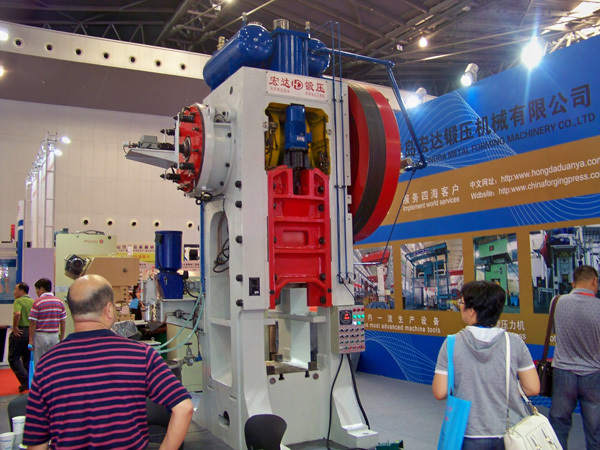 Mechanical presses in the number of about all types of forging machinery more than half of the total. 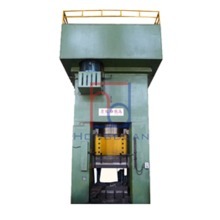 Mechanical press specifications with nominal working force (kN) that it is the slider to travel from the bottom dead center of about 10 to 15 mm (or from bottom dead center crank angle α is about 15 ° ~ 30 °) for the calculation of the maximum base design work force. 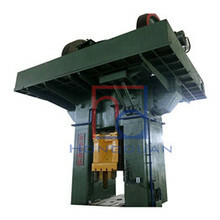 The load on the hand crank press is bumpy, meaning forging work is short in a work cycle. 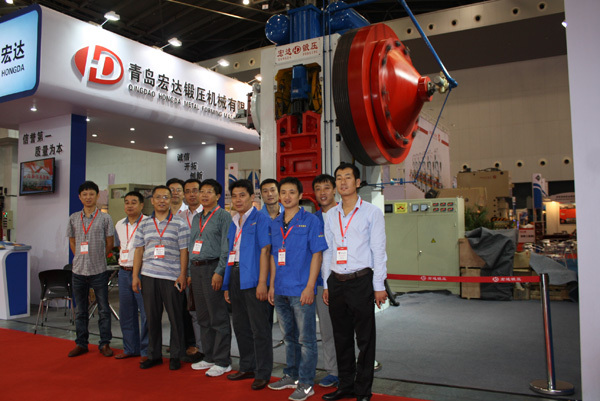 Short-term maximum power than the average power of more than ten times, so in the transmission system are equipped with a flywheel. 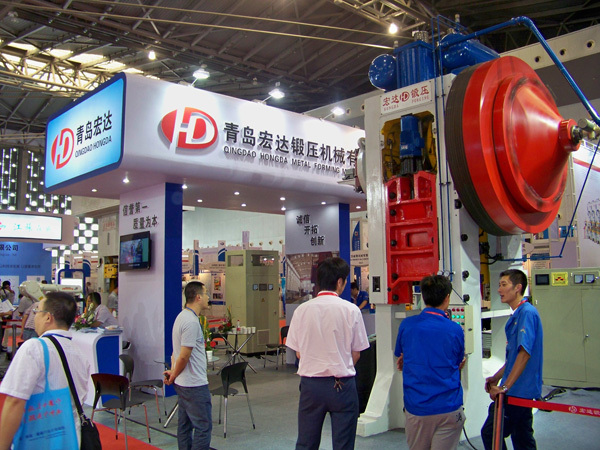 According to the average power of the motor selection, the flywheel runs to the rated speed, the accumulation of kinetic energy. After the punch contacts the blank forging work, the driving power of the motor is less than the load, the rotation speed is reduced, and the flywheel releases the accumulated kinetic energy to compensate. Forging work is completed, the flywheel accelerates the accumulation of kinetic energy again, to prepare for the next use. 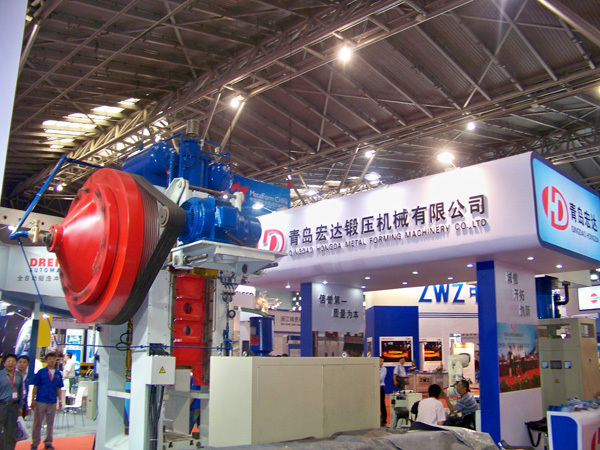 There is a mechanical or electrical interlock between the clutch and the brake on the mechanical press to ensure that the brake must be released before the clutch is engaged and the clutch must be disengaged before the brake is applied. 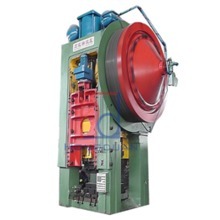 Mechanical presses are divided into continuous, single stroke and inching (inching), mostly by controlling the clutches and brakes. The stroke length of the slider is constant, but the distance between the bottom surface and the work surface (called the seal height) can be adjusted by the screw. 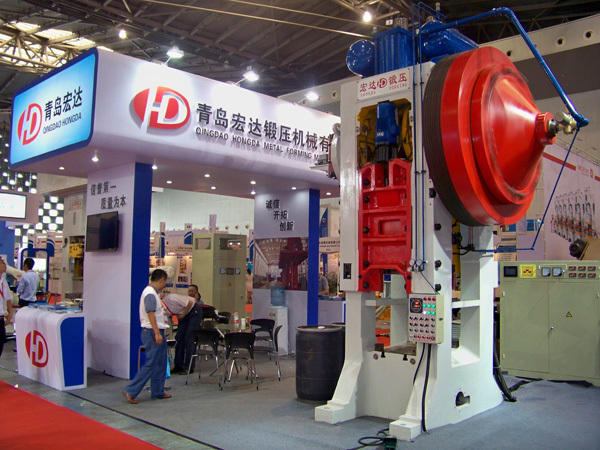 Production, there may be more than the nominal press work force phenomenon. 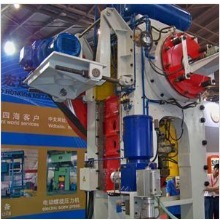 In order to ensure the safety of the equipment, overload protection devices are usually installed on the press machine. In order to ensure the safety of the operator, the press is equipped with a photoelectric or two-hand operation of personal protection.